Our family vacation to Branson in 2011. The girls were so little and we had so much fun enjoying this beautiful town. I loved looking through the old pictures. I am loving the beautiful weather we have had this week. Monday was the perfect day to go for a run with the girls. There is still a part of me that is wishing it would snow in McKinney this winter but until then I will enjoy our time outside. Kate has loved playing volleyball. She has learned so much and we are very proud of her hard work. I am also so proud of the seven girls I’m coaching in Upward Basketball. Our record is 4 wins – 1 tie – 0 losses and we have 4 more games to play. We also squeezed in some time to go to the American Girl Store. I am so proud of Kate because she has been saving her money and gift cards so she could buy her own American Girl Doll. She was so happy! Every year I dread getting all of our required documents together and doing our taxes. Luckily I have an amazing husband that always does it but it stresses me out! We are in the process of picking out tile and bathroom cabinets and I think we finally narrowed our search down to this tile color scheme. I am not looking forward to sharing a bathroom with our girls but I can’t wait to have a new updated bathroom. Danny and I both graduated college almost 15 years ago and this past month we paid off our school loans!!! I was looking for something that was mindless to watch and I stumbled upon The Unbreakable Kimmy Schmidt. This show is hilarious!!! I am also so excited that This Is Us has been renewed for another season. I LOVE this show!! Finally, Scandal returns tomorrow night!!! I have always been on the fence about reading the Fifty Shades of Grey Trilogy. However, I finally watched the first movie last month and I actually liked it so I started to read the 2nd book (Fifty Shades Darker). I am almost done with it and I am so into the characters. I can’t wait to see the movie next month. I’ve had the following two songs on repeat..
Once again this month my wardrobe has grown thanks to my monthly Stitch Fix Box. Danny has a business trip in PARIS and after a lot of discussion and planning we decided this week that I would join him. I hated to leave the girls again but I couldn’t miss a chance to go to PARIS!!! We only have two days in the city before he heads out to his business meeting so we have a lot to fit in but we can totally do it. All the fun Valentine’s festivities!! Every year our Life Group has a big group Valentine’s Dinner. This year instead of going to a restaurant we are having a catered dinner at one of our member’s home. We always have a great time just hanging out together. Another big event next month is the community Daddy/Daughter Dance. 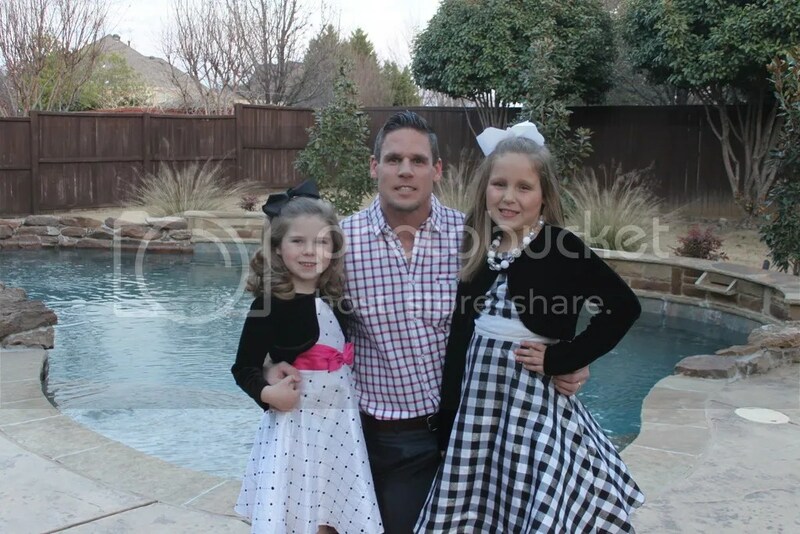 The girls are always excited to go with Danny to this dance. We picked out their dresses last week and they are going to look beautiful for the dance. Our life right now is revolving around our bathroom remodel. I am so excited that we will finally get new tile, new cabinets, and a beautiful new shower. Trying to pick everything out is so hard!! I will for sure be doing a post about the remodel. How nice…Paris!! Ben and I went a few years ago! It was amazing! Enjoy! I can’t wait! Paris is one place I have always dreamed of going and finally that dreams comes true this weekend. Have so much fun in Paris!! And those honey mustard tostadas sound delicious! The tostadas are so amazing! I am so excited to see the Eiffel tower. What?!? PARIS? You lucky girl! Hope you have a wonderful trip and fit everything possible into those two days! I can’t wait to see a trip report! PARIS?! Girl, you are SO lucky! Enjoy every second of it! I can’t wait to hear about your Paris trip!! What a great way to celebrate paying off those student loans! Live it up!!! PARIS?!?!?! I am so excited to see your recap! How fun will that be? It is also exciting about your student loans and your bathroom renovation. What a fun month you have had, and another fun month coming up! I have the SAME dread as you. I HATE collecting all the tax information and paperwork. I have to be honest, I don’t do any of it, but I still hate it. Brandon does it all here too! Have a great time on your trip! Bathroom remodels are a pain but so, so worth it!! Can’t wait to see how it turns out. 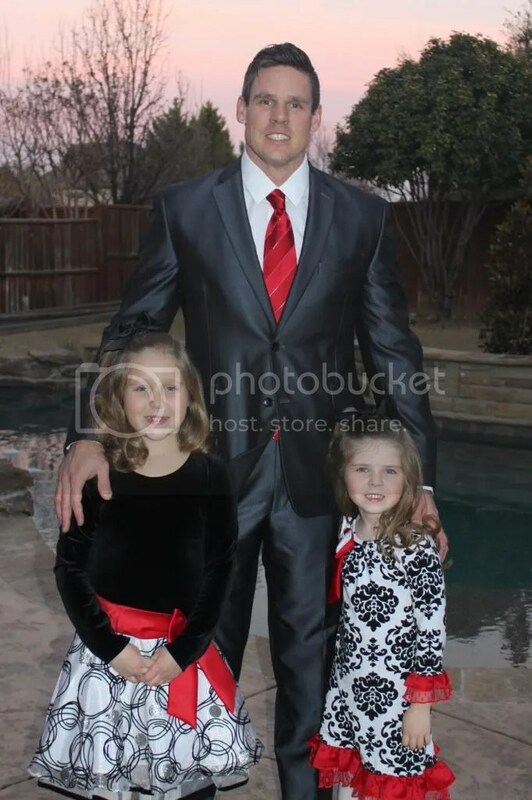 I miss those sweet daddy daughter dances! Congrats on paying off your loans! That’s huge! I hope you’re enjoying Paris!